Ramadan is the month-long Islamic holiday celebrated each year. The Islamic calendar follows a lunar pattern so every year Ramadan moves 10 days forward on the Gregorian calendar. 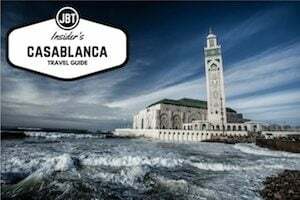 This year it falls primarily during the month of July – a high season for Moroccans living abroad to come back for a visit. While many people balk at visiting during this month, wondering what they’ll encounter, there’s no reason to put aside your plans. However, before you begin your trip, it is important to know a few things about Ramadan and how that will affect your visit. During this month Muslims fast from all food and water from sunrise to sunset. During the evenings people break their fast with friends and family and wake up early before sunrise to eat a meal before beginning another day fasting. People are also meant to abstain from smoking cigarettes and avoid ill tempers and gossip. Ramadan is a time to reflect on the blessings each person has been given and to understand the suffering of those who go without having their basic needs such as food and water. Many Muslims attend special prayers known as tahraweh in the mosques after they break their fast. What does this mean for those visiting? What an exciting time to see up close Moroccan and Islamic rituals and traditions! If you’re visiting during Ramadan you will see aspects of the culture that you would not experience at any other time of the year. At the end of the day when it’s time to break the fast, cannons sound to announce that it’s time to eat. Many mosques have tables spread out to feed the hungry after prayers. You will be able to witness thousands of people coming together in mosques big and small to worship. In the markets and streets special foods are made and prepared during this time – many aren’t found at other times of the year. This is a very special, spiritual time for Muslims and if you’re visiting, it’s hard not to be caught up in the infectious excitement. I’m not Muslim, should I fast? The simple answer is no, there’s no need for you to fast. Restaurants, cafes, and other eating establishments will mostly remain open. No one expects tourists to fast and they likely would be concerned for your health and well-being if you did attempt it. Some people worry about eating in front of the Muslim friends or guides. Don’t be. They’re used to this and it’s really not a problem. If you are concerned, you may consider eating inside restaurants or out of plain view on the street. Just as with special holidays around the world, businesses do adjust their hours during Ramadan. Perhaps the biggest time change you should be aware of is daylight savings time. During the month, Morocco cancels daylight savings time, so the time changes to -1 GMT. You may find that shops are not open in the early hours of the morning and close up right before sunset. This is done to accommodate eating and prayer times. Of course this doesn’t mean everything will close but it’s generally the case. Monuments, historical sites, and other attractions may adjust their hours and have shorter times when they are open. Keep this in mind as you plan and try to be as patient as possible. 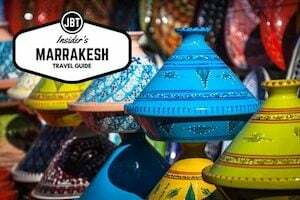 If you’re visiting Morocco with us at Journey Beyond Travel, we do our best to accommodate while working around these alterations to schedule. Travelers who visited Morocco during Ramadan have commented on the late eating schedule that begins to resemble that of Spain – those eating with families or in their riads can use the sunset meal (known as ftour – or breakfast; the breaking of the fast) as their main dinner or should expect to wait until later to eat supper since preparation for it does not commence until at least 30 minutes after ftour. In other words, don’t expect to eat your main dinner before 9pm during Ramadan in the summer months. Are there any special experiences I should have when visiting during Ramadan? Be sure to walk by a mosque during the sunset prayer to witness the flood of congregants in prayer, it can be truly awe inspiring to see hundreds, and thousands of people worshipping together. Enjoy an iftar meal. Many restaurants and hotels offer set meals at the breaking of the fast. These include a variety of Moroccan sweets, spiced harira soup, and juices. If possible, being invited into someone’s home to experience a traditional iftar is truly a wonderful experience. You’ll be able to witness the celebration and excitement people truly feel at this time of year. July is one of the hottest months in Morocco. Couple the heat with lack of food, water, and some sleep deprivation and there’s bound to be short tempers. For those visiting please keep in mind that the Moroccan people around you may be a bit on edge. Everyone goes out of their way to maintain a calm, cool demeanor but it’s inevitable for tempers to flare at some point. You might also find people are more apt to sleep in later in the mornings or take a nap in the afternoons. Be as patient as possible, wish them a Ramadan Kareem, and enjoy experiencing their holiday. If you’re considering visiting during Ramadan and have concerns we’re happy to answer them – give us a call or send us an email. No matter where your journey takes you in Morocco, we are able to create a custom itinerary tailored especially for you. 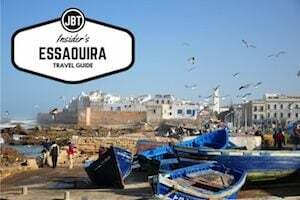 Take a look at a few of our itineraries to Morocco to get you started.